Taco Cid is a local (a fact I didn't know until just now) Mexican fast-food chain. Well, I say chain but from their web site, they are down to one location, on the Charleston Highway, at present. When I first became aware of them, they had at least three locations. The one on Charleston Highway, one on Broad River Road near Intersection Center, and this one, on Decker Boulevard just up from Decker Mall. At that time, I was just starting to sample Mexican food, and I was never a steady customer, but I had this odd custom that whenever I was going to drive to Charlotte (usually for the Heroes Convention, but sometimes for other reasons), I would hit the Decker Taco Cid for lunch first (I will rarely start any voluntary trip before noon!). I'm not sure exactly why this was. 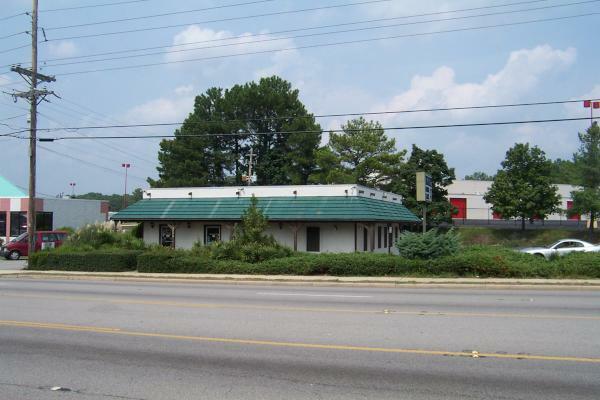 The food was better than Taco Bell, but not spectacular, and before the Completion of I-77 to Percival, Taco Cid really wasn't on the way to Charlotte in any meaningful fashion. Even now that connection is tenuous since you can only get on I-77 going the wrong way if you use Decker, but I would drive down Decker to Parklane to 277 and tell myself that made sense. The Decker location was the first to close though it predated the total collapse that happened to Decker later. 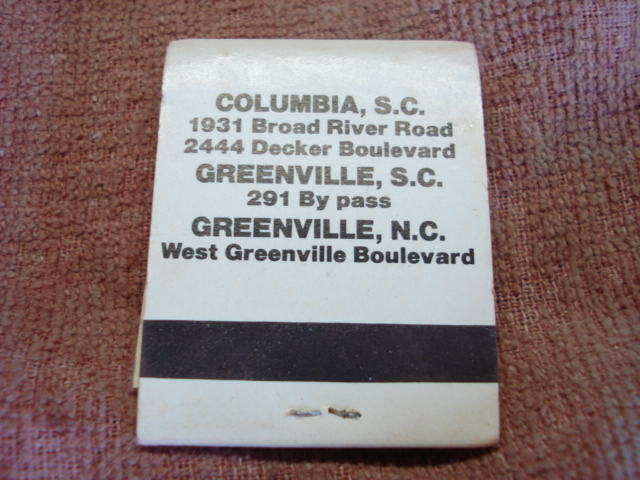 The Broad river location lasted years longer. I don't know exactly when it went under, but I don't think it has been more than 5 years ago. The vet's office moved in a few years after Taco Cid vacated the building, and has been a steady presence there ever since as Kroger, Target, The Olive Garden, Red Lobster, and most recently Zorba's have crashed and burned around them. 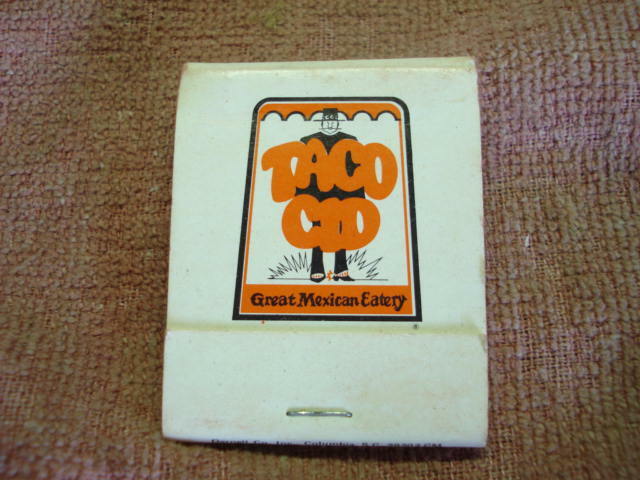 UPDATE 15 Aug 2009: Added scans of Taco Cid matchbook provided by commenter Melanie. UPDATE 18 April 2013: The building is to be Atlantic Seafood. Subscribe to comments with RSS or TrackBack to 'Taco Cid, 2444 Decker Boulevard: 1990s'. I remember this place changes names a couple of times. It looked like the same place but at one point was called Taco Uno and then I think it went back to Taco Cid. It was better than taco bell. As a kid in the 80s I went there tons of times. There was a Taco Uno on St. Andrews Road near Piney Grove, where the Thai place is currently located. They were very similar to Taco Cid, where they'd have a Sancho. The only thing I'll eat at Taco Cid is the Number 1 dinner. The Taco Cid on Knox Abbot tries to bill itself as a non-fast food establishment. They'd bring your food to your table, and come around w/ refills of tea, but it's still fast food at non fast food prices, about the same as Monterrey's once you got out there. I do miss the Broad River location. Much more convenenient to me. thanks. I know the thai place is. Never would have thought that was a taco joint. I noticed Hardees is doing that bit where they bring the food to the table. 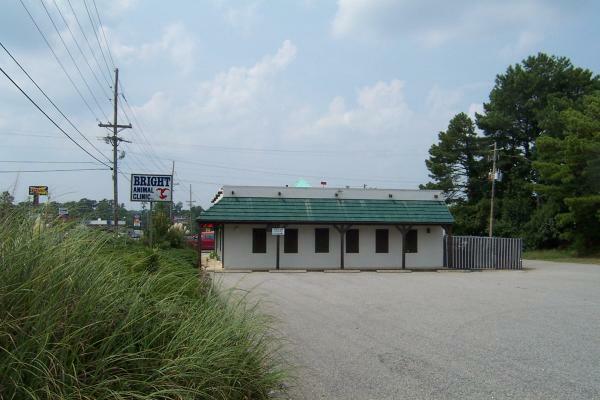 There was also a Taco Cid in Lexington, on US 1 just west of SC 6. It later became a San Jose Mexican restaurant and was very successful until the San Jose moved out into a new location. I suspect it won't stay vacant too much longer due to its location. I ate this place the last day it was open. I went in for lunch and the workers had all just been told it was the last day and their jobs were gone. They were so mad at the owners the gave my friends and I all we wanted, no charge - including beer. We stayed for hours. I remember the restaurant. Also, I think Dr. Bright put one of my dogs to sleep. Sad. His old office used to be in Woodfield Park I think. I love Taco Cid. I have been going for years. I used to go to the one on Decker all the time. This had to be a the late 70's. We went tonight to the one over in Cayce. My wife's brother used to work there as a matter of fact. It looked the same to my wife but she said the food was not as good. I thought it was OK but pricey. 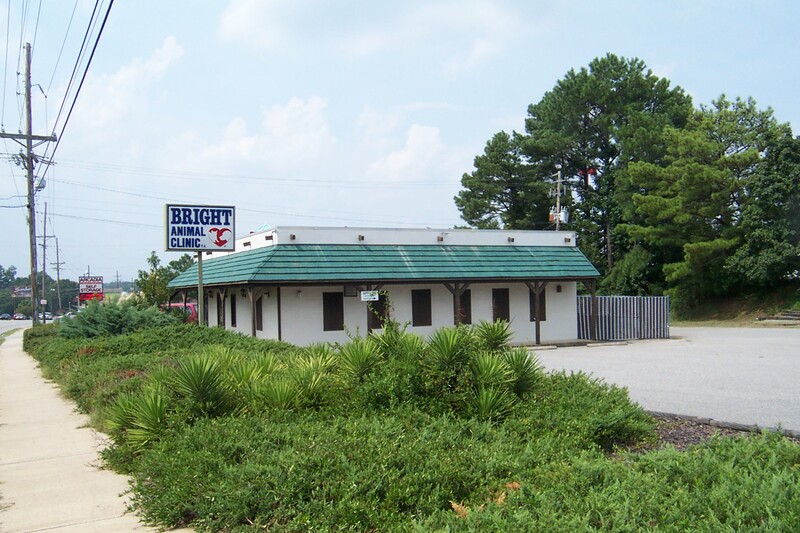 I have eaten at the one in Cayce for years and also ate at the one on Broad River as well before it closed.What I always thought was funny was that someone from India run a Mexican restaurant(Broad River Rd.) but he was always kind and considerate of his customers.Great food and great memories of some good good people that I've met there and will always remember. 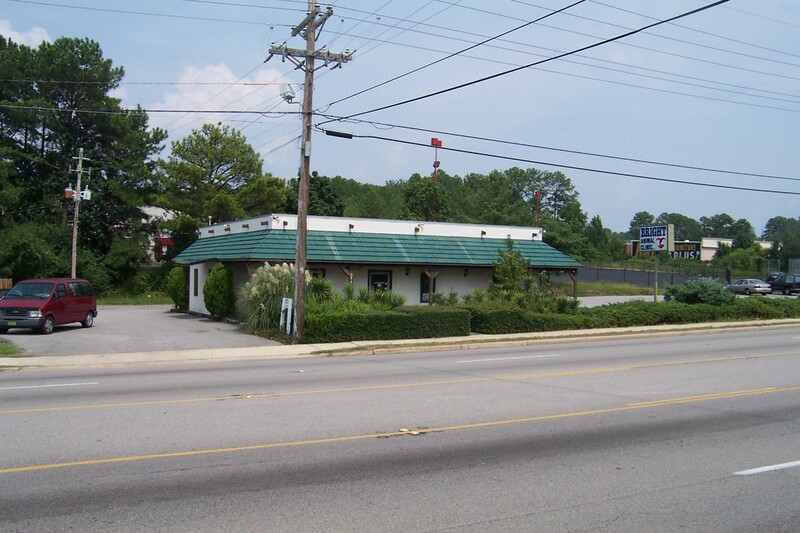 I have eaten at all the Taco Cids, there also was a Taco Cid in Pontiac on Two Notch rd for awhile just past Clemson rd. I have been going to the Cid since the early '80s. The owners also started to open one on Veterans rd by the VA hospital next to the Hardees years ago, I remember a sign there that said "Taco Cid coming soon". I got to know the 2nd owner back in the 90s his name was Jack, his uncle started Taco Cid back in the 70s I believe he said. He and his wife to be worked there. He later somehow acquired the restraunts from his uncle. He owned them until he passed away at an early age, l believe he was only in his 30s. He was a heck of a nice guy and I always tried to get him to open one on my side of town. There is one still in Rock Hill, maybe Dave Lyle Blvd, and it looks new. Saw it on the way home from that pitiful bowl game performance by my Tigers. You could order beer from the drive thru window. Priceless! There was also a Taco Cid on Main Street in Columbia for a few years. I got several parking tickets while eating lunch there. 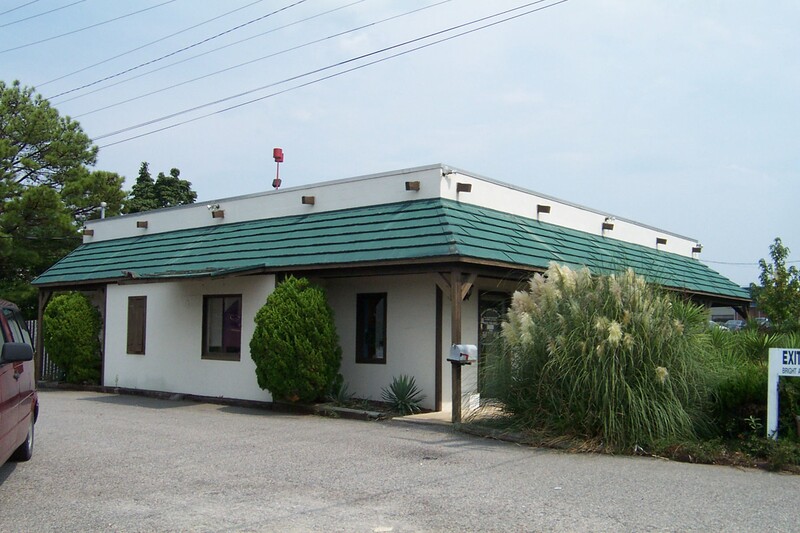 The Main St. Taco Cid was located in the old Miracle Theater building which was located next to the news stand building and was demolished by one of the banks for parking space. That's it Mike. I thought it was a theater, but could not remember which one. There was a revolt amongst the patrons when Sysco systems dropped the taco sauce that was made for Taco Cid and only Taco Cid. They brought it back, and all was well with the world. This Taco Cid may be closed but there is one ALIVE and WELL at 1416 Charleston Hwy, West Columbia, SC. Taco Cid is my FAVORITE Mexican restaurant. I swear, it gets better every time we eat there. I love the food at Taco Cid, especially the Bean Nachos, the tacos, and the Sanchos. Their bean nachos are the very best! They have daily specials. My favorite daily special is the #1 which is featured on Thursdays. The folks are friendly there. The place is always VERY clean. If you want to get FABULOUS tasting Mexican food, THINK OUTSIDE THE BELL and go to Taco Cid! By far my favorite mexican resteraunt... The mild sauce is out of this world. Every chance I go near it I eat there. I live about sixty miles away but it is a treat to go. My kids love it too. Taco Bell is not even a close second. Dont' think there marketing was as good or something other than the food. Just ate there today! I think these restaurants went down because they started a marketing promotion with a racial taste to it, it is news that their shirts for employees was way to racist to latinos, and that's why they closed, there's only one location left and about to expire also! Related to Kevin's post, there was just a big story on these t-shirts on WIS News tonight. I am SOOOO going to go get some of those T-shirts! This building is currently under renovation. They have a sign that says it will be opening as "Atlantic Seafood". I don't know if that's retail seafood sales or a restaurant. I owned the Taco Uno restaurant on Decker Belva and St andres in the 80’s. The Decker location was successful for me, the St Andrews site killed me. They were widening the road then an it was hard ingress/egress to say the least. Loved living in Columbia back then. I was an area supervisor with Pizza Hut before owning the Taco Uno chain. Jim Temple was a former partner in Taco CID and converted the Decker location to Taco Uno before selling it to me. Have a good one folks.